What a week it has been… the cold weather is back, cars not starting, snow and wind. January seems like it may never come to an end, but then I guess there is just one week left to the month. Then we will have one more month of winter behind us. Come on spring, please hurry. Dinner time is always a lot of rushing around of late. Mike and I both seem to be working later, so we are always in a hurry to get dinner on the table. That is one of the reasons I love fish, it doesn’t take long to prepare and it’s quite versatile. 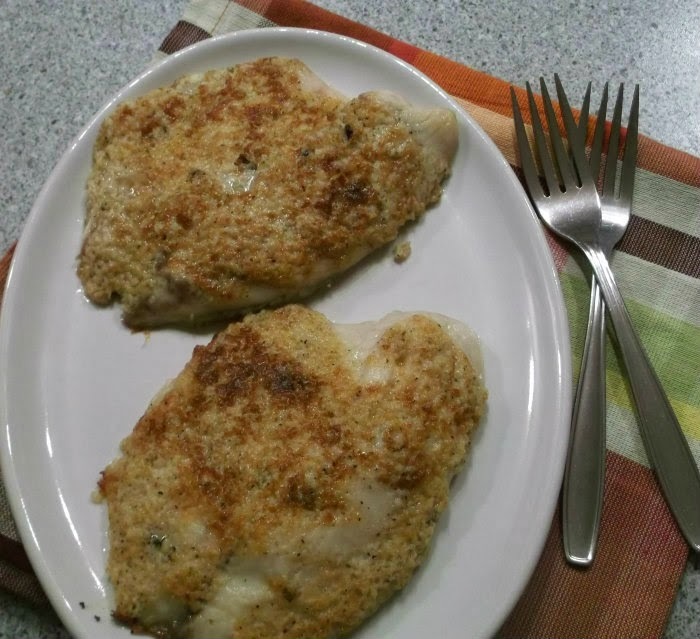 I found a recipe for this Tilapia with some great seasonings and Parmesan cheese and knew that it had to be something I had to. This recipe is quick and delicious. 1. Preheat oven broiler. Grease broiling pan or line with aluminum foil. 2. Mix all ingredients except the tilapia fillets and set aside. Arrange fillets in a single layer on prepared pan. 3. Place fillets under broiler for 2 to 3 minutes. Flip fillets over and broil for 2 to 3 minutes more. Remove fillets from oven and cover with Parmesan mixture on top side. Broil until fish flakes easily with a fork about 2 minutes. I agree that fish is a great option when short on time. I grew up on the East Coast so I’m used to eating fish frequently. Have to admit this recipe is a new one for me, I’ll have to give it a try. 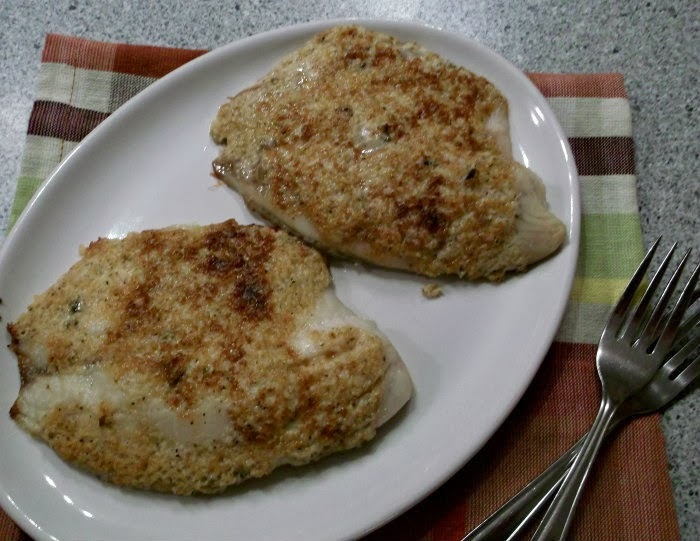 Nice way to prepare tilapia, love the cheesy and crispy layer…yum! 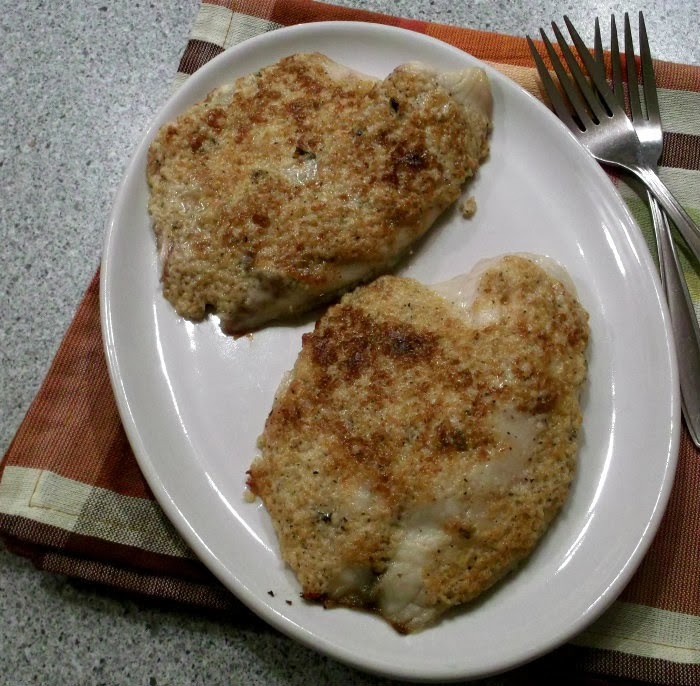 These remind me of chicken cutlets, but even faster because tilapia cooks so quickly! Great combination of flavors for this fish. Fish really is great “fast” food, because it takes so little time to cook. This looks great — love the idea of Parmesan. Thanks for this.